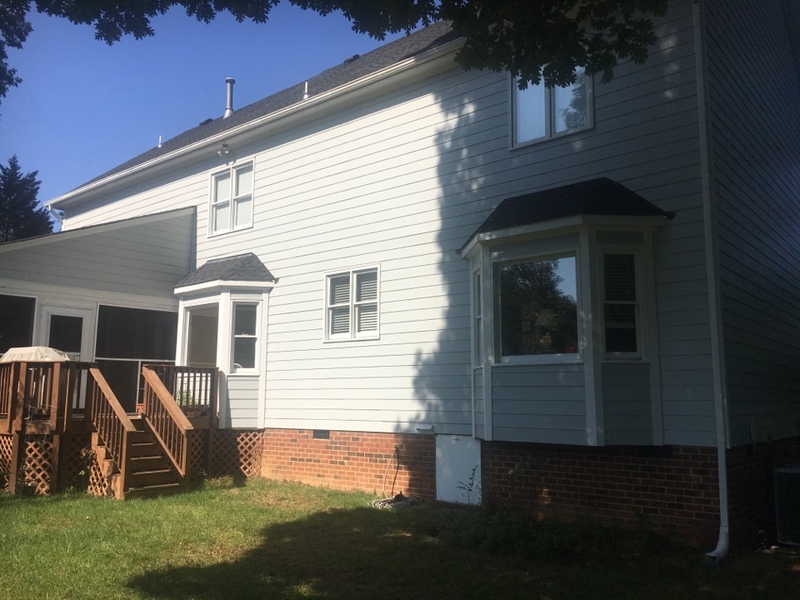 Midlothian, VA has proudly chosen Blue Ridge Exteriors time and time again for all of their home siding needs. 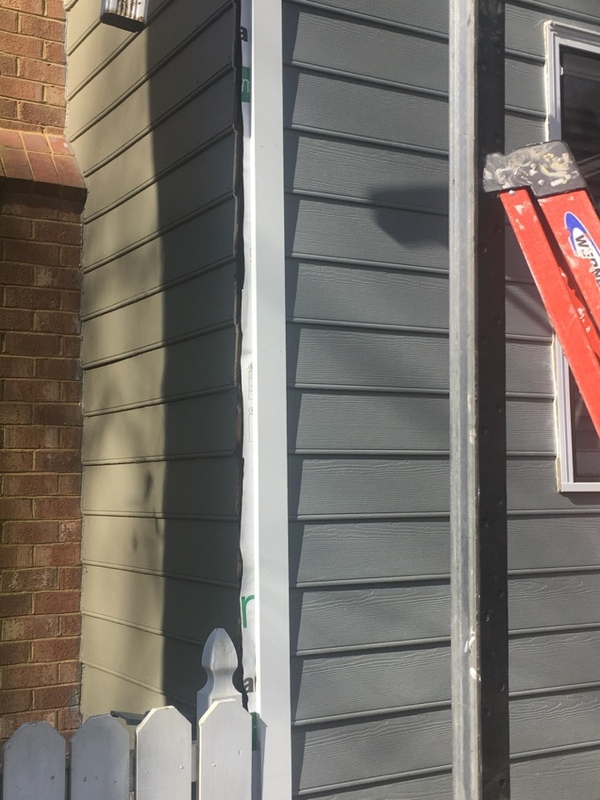 They trust in our customer service, high-quality products like BeechWorth replacement windows and HardiePlank siding, and excellent craftmanship. 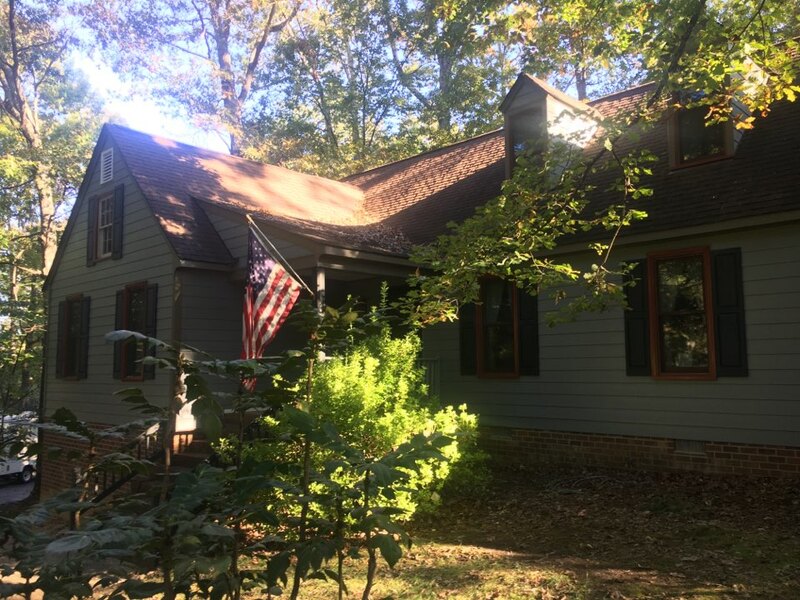 We consistently provide a process that makes it hassle-free to do home renovations, and stress-free knowing that you chose Blue Ridge Exteriors for a lifetime job. 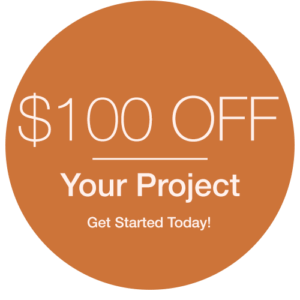 Give us a call today to see if we can serve you! 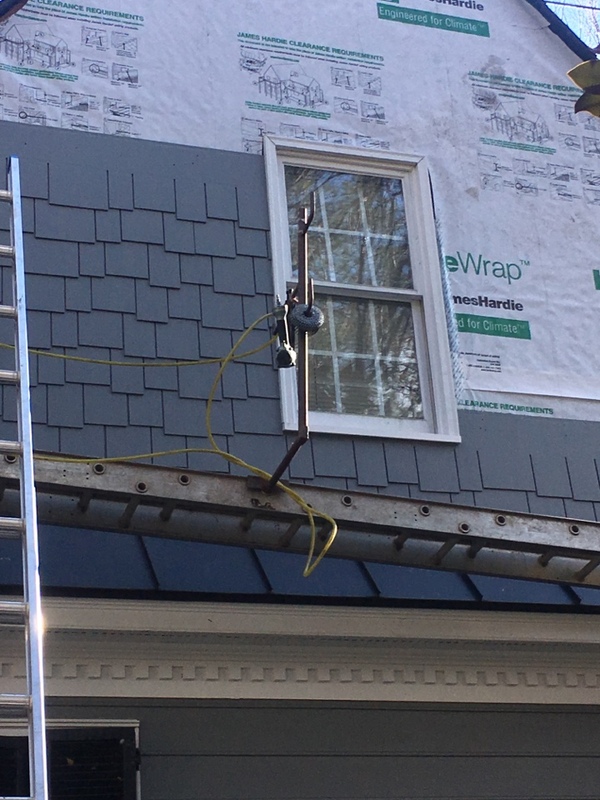 5” matched with 4” James Hardie NT3 trim for a symmetrical 2 piece corner, like real wood. 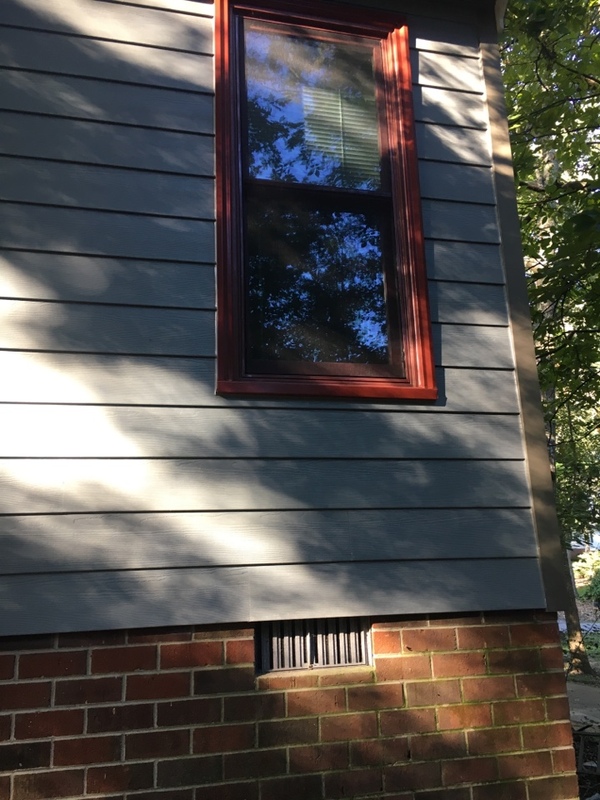 Gray Slate HardiePlank siding with new fiberglass windows across the street from a great former customer of ours. 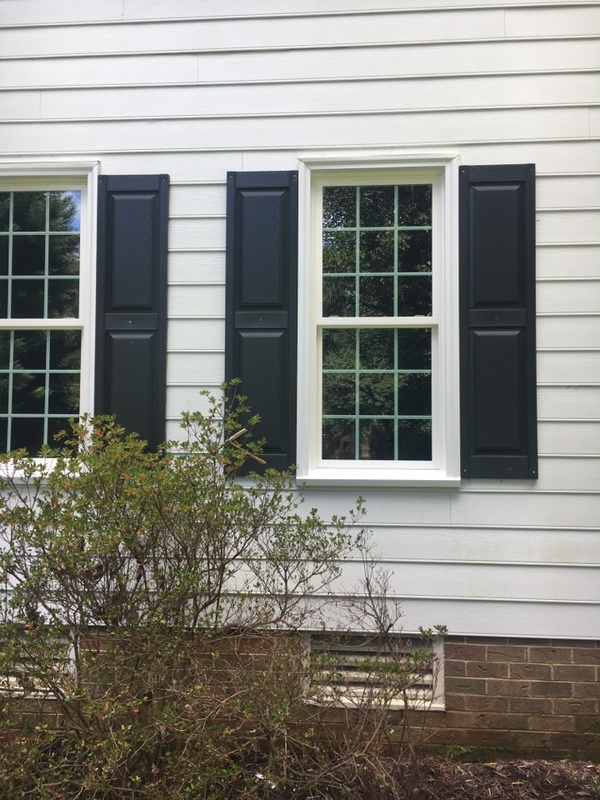 Our new Beechworth fiberglass window along with James Hardie Siding. Back to work after hurricane & tornados. Huge wall with no windows. 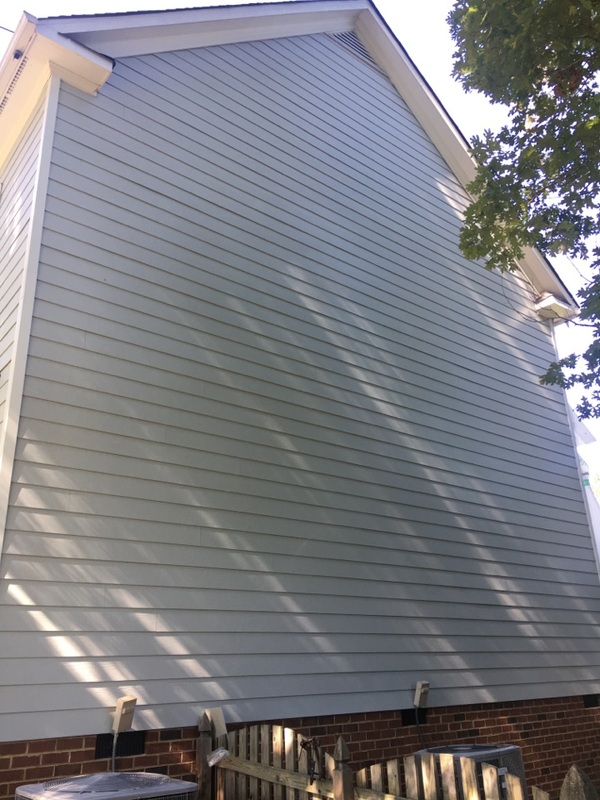 HardiePlank siding laying perfectly. 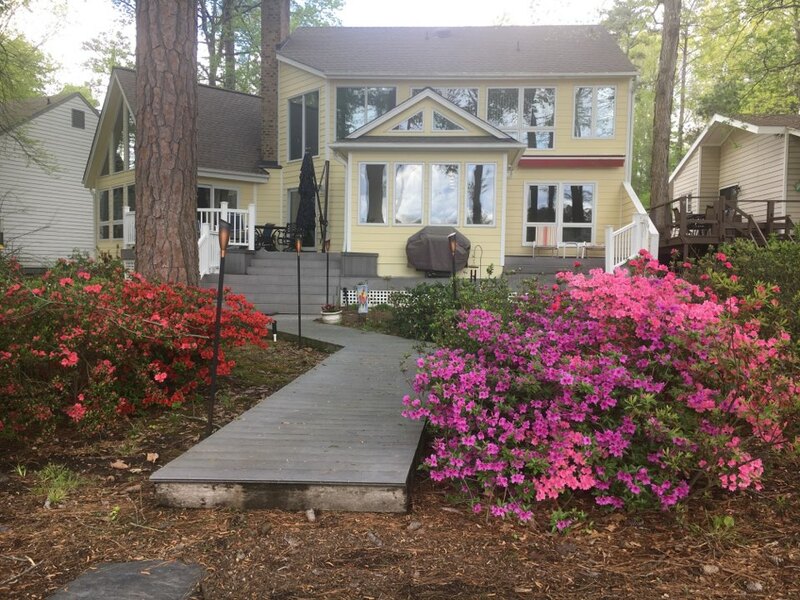 A view from a cart path; New re-sided contemporary with HardiePlank Lap siding in color Woodland Cream, prepainted. We work one wall at a time. 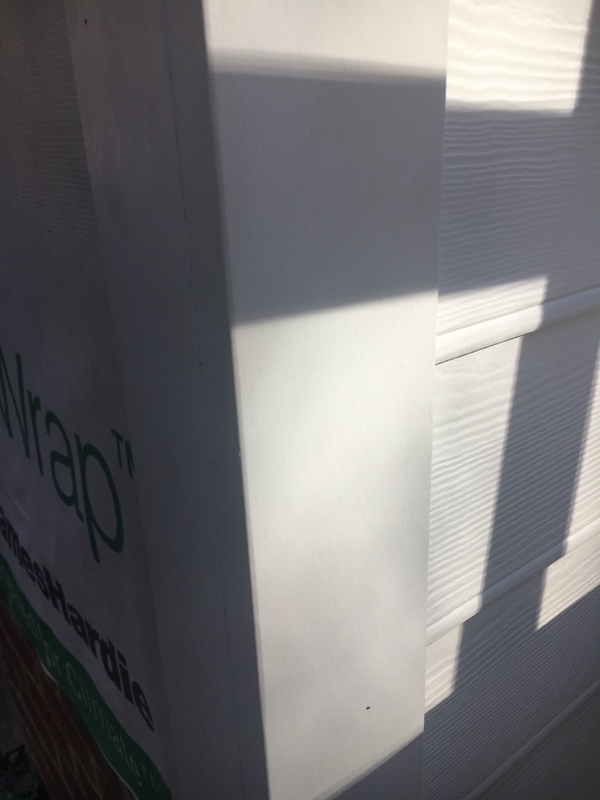 Continuous house wrap comes around the corners so there are no seams at the corners. 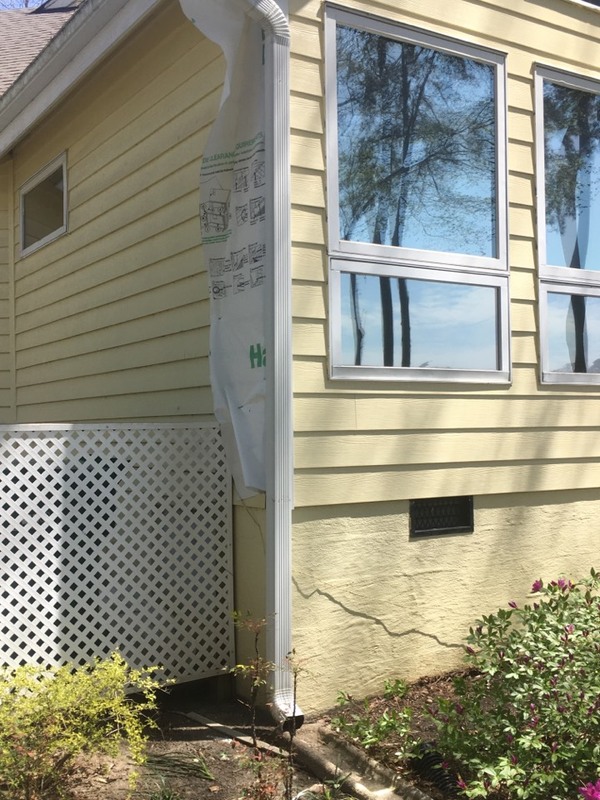 Right side is new HardiePlank. Left side still old cedar siding.